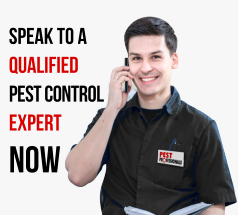 All or our Pest Professionals are fully qualified, insured and hand-picked to provide you with honest, friendly advice on how to best deal with your pest problem. We take great pride in the knowledge and experience our operatives bring to any problem and the initial telephone consultation is completely free with no obligation. From there we can help you decide on the best route to take. Just call us now and let us make it easy for you. If you have any kind pest problem, Pest Professionals can help. We deal with both domestic and commercial pest control and will consider one-off and contract work. When you call the number you will have the opportunity to chat with our team of experts. We will discuss the options available to you and, if you wish, locate the best and most appropriate pest expert near to you who will respond swiftly and without fuss.